What Is The Best Way to Deploy Node.js? A discussion on Reddit about the different ways people deploy Node applications online. A step by step tutorial on bringing together Node, Johnny Five, and an Arduino to create a ‘remote control’ for a Mac that can control sound volume and play music. Test and deploy your projects directly from GitHub or Bitbucket with zero setup, fast execution, and expert support. 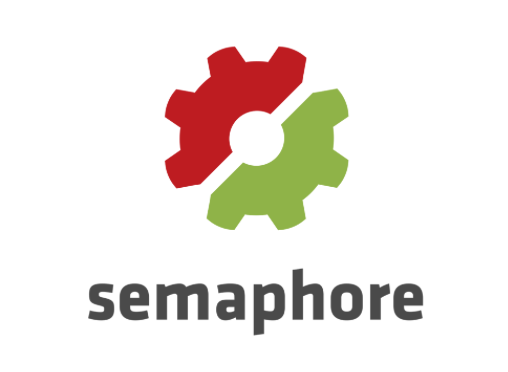 Join CoreOS, 500px and many more organizations who've improved their productivity with Semaphore. Rod Vagg reflects on Node’s journey over the past year including the io.js fork and whether it was generally a good thing. Passport is tried-and-tested authentication middleware for Express-based apps. It’s not new but if you haven’t used it yet, it should be on your radar. NewSQL is a module that tries to provide the best of SQL and NoSQL on top of MySQL in Node. New feature: Auto-assignments. When an error occurs, Opbeat deduces who the best equipped person to fix the code is, via Git. Receive fewer but smarter notifications spend more time being productive. Compiles scripts, templates and styles, lints them, wraps them as modules, generates source maps more. The documentation is a little idiosyncratic but the benchmarks and sample code speak for themselves. Written in ES6 and uses a Promise based workflow. In Node it’s a typical torrent client using TCP and UDP. In the browser it uses WebRTC. Codeship is a fast and secure hosted Continuous Integration and Delivery platform. Give it a try and join customers like Product Hunt and Treehouse. Sign up today.